What else would be better than the Eiffel Tower to start speaking about Paris? And what is the best date to speak about it? July 14th! The National Day. 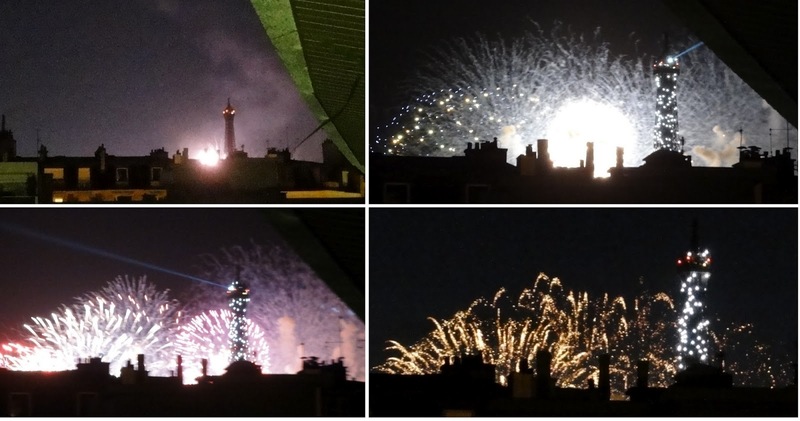 As every July 14th, an immense firework is thrown from the Eiffel Tower or in the gardens of the Trocadéro. The theme of this year: the Disco music of the 80s. 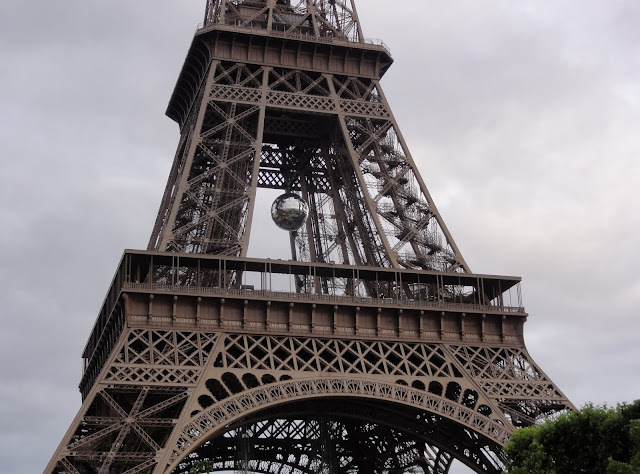 Look at the Disco ball placed for the occasion under the second floor of the Eiffel Tower. Here are some photos taken from my balcony. When it's dark, the Eiffel Tower is set in a yellow light dress and its summit lights the sky as a gigantic lighthouse would do. Every hour, it flashes and sparkles. Magnificent show! The first time, it was December 31st, 1999. The year 2000. With my family, we waited midnight by looking at the Eiffel Tower. At midnight, it began sparkling and making turn its powerful beam of light. It was so wonderful. See also this (See the fireworks after 1'20 video). A small trick: if you come to see the Eiffel Tower in the evening, when the sky is dark, come a little prematurely, 9:55 PM, 10:55 PM for example. The Eiffel Tower will sparkle at the precise hour for 5 minutes (before energy savings, it was 10 minutes). The best place to see it: the square of the Trocadéro (go down at the Trocadéro station).